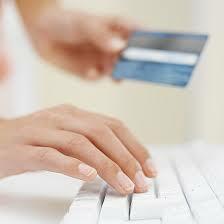 Offers of free credit reports and scores often aren’t so. In early April, the Federal Trade Commission cracked down on websites that offered people “free” credit reports and scores that were actually tied to the purchase of credit-monitoring services. In some cases, people requested credit reports and unknowingly signed up for paid monthly memberships. But, by law, there is a way to get a truly free credit report. AnnualCreditReport.com offers one free credit report annually from each of the three credit-reporting companies—Experian, Equifax and TransUnion. If companies tout offers of free FICO scores, you can count on some strings. A FICO score, which most lenders use to assess your creditworthiness, typically costs $15.95 at myFICO.com. You also can buy it on the TransUnion and Equifax sites. There are cheaper ways to see where your credit stands, however. Credit-reporting companies have their own credit scores, based on proprietary formulas. You can buy these credit scores for less than $10 each at AnnualCreditReport.com. Keep in mind that these aren’t FICO scores, but they can give you a general idea of what credit tier you’re in. There also are a plethora of free credit-score estimators online, which give you a credit score that typically is in the range of your FICO score. Among them: CreditKarma.com and Quizzle.com.